I first met Tara Laskowski via her husband Art Taylor, but it wasn’t very long before I realized that she was a formidable writer in her own right. Her short story collection, Bystanders, is a powerful collection of tales that blur genre lines in the best possible way. Her wickedly funny short story collection Modern Manners For Your Inner Demons is brief, but packs quite the sociological punch. 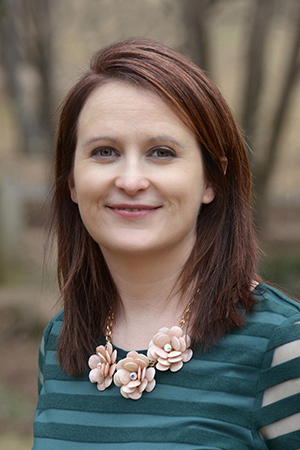 Since we are both members of the local Sisters in Crime chapter, I’ve watched Tara’s star rise, and was thrilled when it was announced that her debut novel would be released by Graydon House Books in the Fall of 2019. Since that announcement, Tara’s story “The Case of the Vanishing Professor” (published in Alfred Hitchcock Mystery Magazine) has been nominated for the Best Short Story Agatha Award to be presented at this year’s Malice Domestic conference. Tara Laskowski has been featured as part of the BOLO Books Composite Sketch series. You can find that profile here. So, when I was asked if I would be willing to host the cover reveal for the new novel, it was an easy answer of YES! Let’s not waste any more time…here is the excellent cover for One Night Gone. One sultry summer in the 1980s, a teenager arrived in the wealthy town of Opal Beach to start her life anew—to achieve her destiny. But before the summer was up, she vanished. Decades later, when Allison Simpson is offered the opportunity to house-sit in Opal Beach, it seems like the perfect chance to regroup and start fresh after a messy divorce. It’s the off-season, after all, which means peace and quiet, and more importantly for Allison, safety. But when Allison becomes drawn into the story of a girl who disappeared from town thirty years before, she begins to realize that Opal Beach isn’t as idyllic as it seems. Beyond the walls of the gorgeous homes hide dark secrets. And as Allison digs deeper into the mystery, she uncovers not only the shocking truth, but finds herself caught in the middle of a twisted plot. 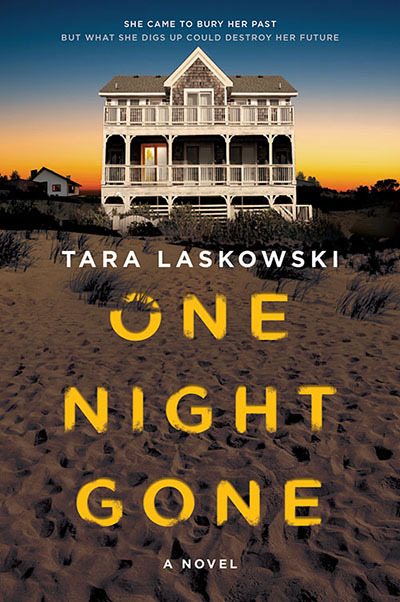 Part electric coming-of-age story and part breathtaking mystery, One Night Gone is an atmospheric, suspenseful novel about power, privilege, and ultimately, sisterhood. If you would like to be among the first to read a few chapters of One Night Gone, subscribe to Tara’s mailing list. Looking forward to reading this book, especially because I am such a fan of Tara’s short stories (okay, Art’s, too). Fabulous cover! Can’t wait for the book to hit the shelves! My pleasure. This is a striking cover that I would most certainly pick up in a bookstore. Hooray! Gorgeous cover for a FABULOUS book (yes, I got to beta read it, and yes, everyone should be jealous)! So thrilled for you, Tara! Love this cover! And Tara’s book sounds fantastic—looking forward to reading it. Beautiful cover. I am so excited for this book. Huge fan of Tara Laskowski’s work! I gave my daughter one of her short story collections for a gift recently. Looking forward to her novel debut. Thanks, David. As always, I appreciate your support. That is a great cover. The exact kind of cover that makes me know this book is for me. Looking forward to reading it. It’s a fabulous cover and I can’t wait to read it! Y’all are making me feel so loved! Thank you! So happy for you Tara! Can’t wait to read this! Love the cover — and the tag line!! I can see the movie coming!! Wonderful cover! Your synopsis has definitely piqued my interest.